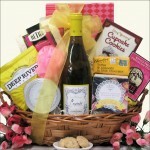 This Wine and Spa Gift Basket could not get any sweeter and she will love it for any occasion. Scrumptious! is a unique basket unlike any other and lives up to its name in every way. 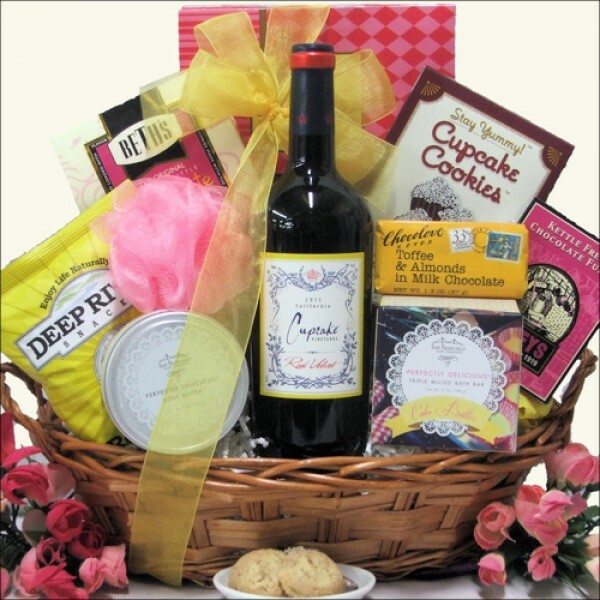 Starting with a delicious bottle of Cupcake Vineyards Red Velvet Red Wine, this rich, soft and elegant wine delivers over-the-top aromas of chocolate, deep dark blackberries and luscious red fruits. Moving on to our amazing spa products from San Francisco Soap Company, she can lather up with their Cake Batter Scented Bath Bar and Body Butter, smells so good, she is going to want to eat it right from the jar! 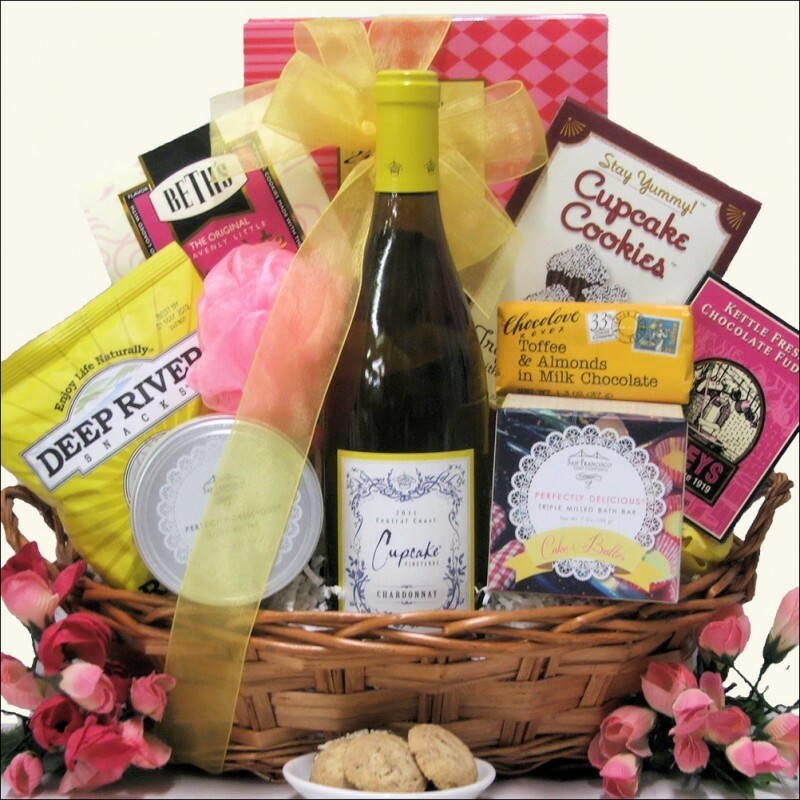 Lastly she will enjoy the tasty treats of Claeys Candies Kettle Fresh Chocolate Fudge, Chocolove Toffee & Almond Milk Chocolate Mini Bar, Beth's Chocolate Chip Cookies and more.